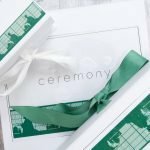 Ceremony’s green tea toner is the perfect natural astringent for oily acne prone or combination skin. Using the finest Japanese green tea we have harmonised other natural ingredients to create a truly refreshing and energising toner to even your complexion, constrict your pores and complete your daily cleansing routine. The green tea extract in the toner provides a boost of the finest antioxidant power that can only be found in nature, helping to keep your skin looking and feeling youthful and healthy. The camomile extract has an anti-inflammatory quality, and also works to balance female hormones, further enhancing the anti-aging properties of the product. The humectants found in various natural ingredients lock in moisture as you tone. The result is comfortable, fresh, and perfectly toned skin the Ceremony way. Ceremony’s all natural luxurious Green Tea Face Cleanse oil dissolves even the most stubborn face and eye make-up with minimum effort. Suitable for oily, acne prone skin combination and dry skin, this highly concentrated oil cleanser is infused with organic sunflower, jojoba chamomile flower oil together with green tea meaning your skin gets all of the anti-inflammatory anti-oxidants and hydration it needs while effortlessly removing your make-up. 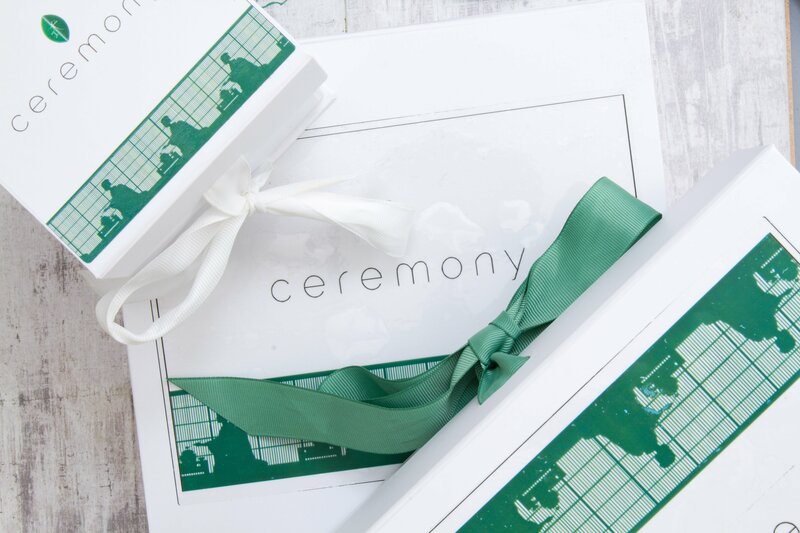 Ceremony’s Green Tea Serum is a beautifully potent all natural skin tonic which blends only the finest active natural ingredients and antioxidants to repair, and combat the signs of ageing. Perfect for oily acne prone and combination skin, this highly concentrated luxury serum is specially formulated to penetrate deep into the skin delivering the nutrients and vitamins your skin needs on a nightly basis. The exquisite blend of the highest quality green tea and natural ingredients such as rice bran oil, avocado oil, jojoba oil and other goodness will protect from oxidative stress, repair and rejuvenate your skin giving you a radiant youthful glow within a week of using on a nightly basis. Ceremony’s green tea exfoliator is carefully blended with nature’s finest antioxidants to gently cleanse, buff away dead skin cells, and unclog pores to reveal soft, smooth, radiant skin able to breathe. Suitable for oily acne prone and combination skin, Ceremony’s green tea exfoliator combines peach seed powder which forms the basis of the scrub, with the finest green tea found on the Pacific coast of Midland Japan. The camomile extract works to balance the female hormone keeping breakouts under control. The addition of silver gives the exfoliator an anti-bacterial property keeps your skin clean and healthy. This luxury scrub is packed with other powerful antioxidants and natural goodness like Aloe Forex which combat breakouts, dull skin and signs of aging while also keeping excess oil under control. A formula as delicately complex as it is gentle, the green tea exfoliator also contains humectants to lock in moisture. All making the perfect product for a naturally soft and sensitive exfoliation. skin, lock in healthy vitamins, and combat the signs of aging with anti-oxidants. wrinkles and aging, and locks in moisture at the same time. inflammatory effects, and humectants that stop your skin becoming dry. cleanse, but also moisturise and restore the youthful radiance of your skin. Ceremony’s Green Tea Face moisturizer harnesses the highest quality green tea extract with other beautiful natural hydrating ingredients to help maintain your skin’s suppleness, radiance and firmness. This delicately scented green tea puff is made by adding matcha powdered green tea to our traditional Konjac puff. Green tea has a sterilizing effect and facilitates beautiful clear, bright skin. The anti-oxidants found in green tea also help to combat inflammation from acne and uneven skin caused by aging and sun exposure. therapeutic benefits of this revered green tea for yourself. finest leaves used, which are then quickly sealed for freshness. can find, so take a sip and enjoy the ancient ritual for yourself.